Traditional and digital dental X-rays are available at County Dental in Suffern, NY. The County Dental at Suffern digital X-ray machine makes it possible to immediately produce a digital image that can be viewed during your visit on our computer screen in each operatory. An X-ray is a type of energy that passes through soft tissues and is absorbed by dense tissue. Teeth and bone are very dense, so they absorb X-rays, while X-rays pass more easily through gums and cheeks. Dental x-rays help our Suffern, NY dentists examine teeth, bones and soft tissues around them to help find problems with teeth, the mouth and jaw. X-rays can also show cavities and bone loss that cannot be seen during a visual examination at County Dental at Suffern. County Dental puts you the patient as the top priority to maintain the healthy smile you deserve. What kind of x-rays are available? Traditional and digital dental x-rays are available at County Dental in Suffern, NY. 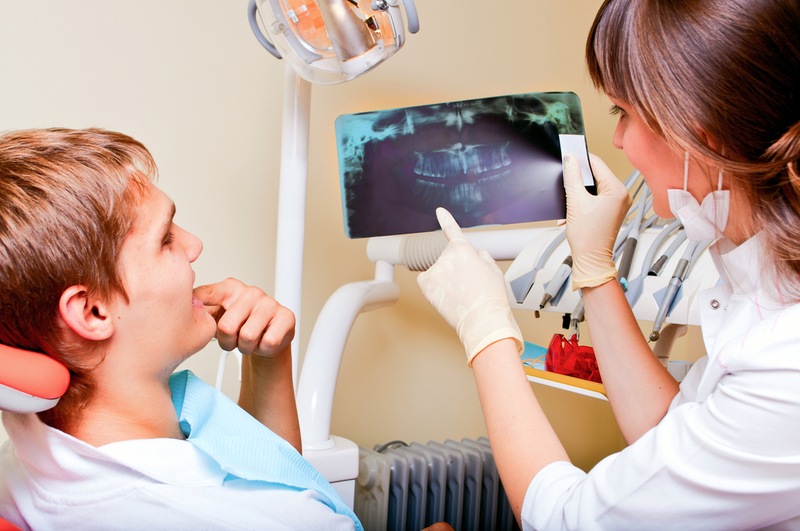 X-rays can show cavities and bone loss that cannot be seen during a visual examination at County Dental at Suffern.